• Autonomous motorization system for roof and facade roller shutters, operating with solar energy, a free, clean and renewable energy. 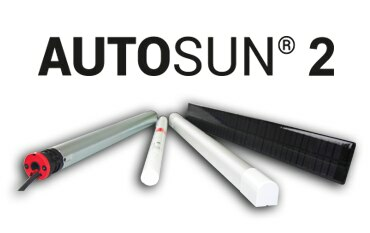 • No wiring: AUTOSUN does not need to be connected neither to the electrical network nor to control points (SIMU-Hz radio technology), which means no degradation of interior walls. • Optimized outputs: AUTOSUN has been designed to run in most geographical aera! • Autonomy oh the system: 15 days without sun, 2 cycles per day. – new motor, with more intelligence, for a simple integration and installation! – a wide range of batteries. – a new battery charger. – compatible with sequential and functional transmitters.